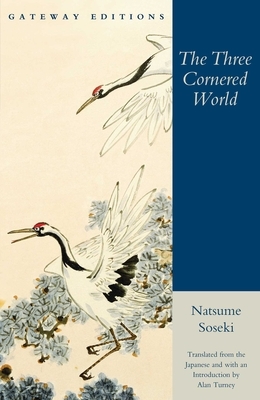 The Three Cornered World is the novelistic expression of the contrast between the Western ethical view of reality and the Eastern ethical view by one of Japan's most beloved authors. Natsume Soseki tells of an artist who retreats to a country resort and becomes involved in a series of mysterious encounters with the owner's daughter. Intricately interwoven with the author's reflections on art and nature, conversations with Zen monks and writers of haiku, are a plethora of unique Japanese characters offering the reader an exquisite "word painting." Natsume Soseki (1867-1916) is one of the great writers of the modern world. Educated at Tokyo Imperial University, he was sent to England in 1900 as a government scholar. As one of the first Japanese writers to be influenced by Western culture, his various works are widely read in Japan, and contemporary authors in Japan continue to be influenced by his oeuvre, which also includes The Gate, I Am a Cat, Kokoro, and Sanshiro.